Kice Industries has been designing, analyzing and building dust control systems and equipment for over 50 years. 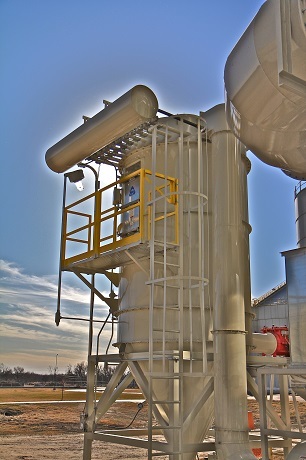 When designing a dust control system, one must consider many factors. Our engineers understand the principles of handling air and apply their experience to every situation. Combustible dust explosions are a risk in many areas of a facility. Facilities can create dust particles that can become airborne and dispersed throughout the plant. It’s when these particles are in a combustible environment that they represent a significant risk for an industrial accident. The serious hazards associated with handling fine dusts and powdered materials may be overlooked by many plant personnel because they are not fully understood. Read more here.